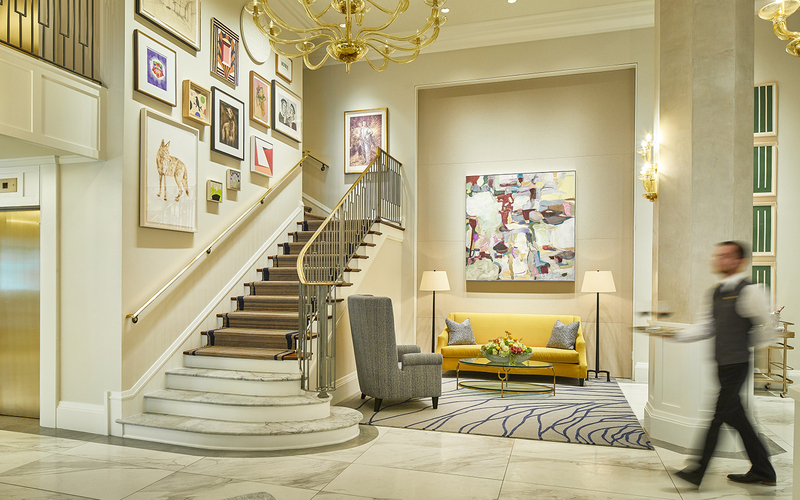 After its ten month, multimillion-dollar redesign, the Lancaster Hotel now hosts an art collection that represents a veritable who’s who of Texas modern and contemporary artists including Donald Judd, Mark Flood, Trenton Doyle Hancock, Terrell James, Joseph Havel, Luis Jimenez, James Surls, and Gael Stack. Join us on February 13, 2019 for an exciting and intimate tour of the hotel and its renowned collection. To join the Collectors Circle click here or contact collectorscircle@camh.org. This event is exclusively available to Collectors Circle Members and Salon level Members of the Patron Circle. Not a member? Simply click either of the links above to join today! For questions or more information, please contact Membership or 713.284.8264.